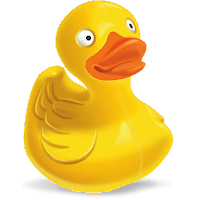 Cyberduck is a powerful client for Windows and Mac, that allows you to browse and transfer your files to FTP, SFTP (SSH Secure File Transfer), WebDAV, and Cloud stoage (OpenStack Swift, Amazon S3, Google Cloud Storage, Backblaze B2 and Microsoft Azure). It features an easy to use interface with quickly accessible bookmarks. The browser allows to download, upload and move or copy files using drag and drop with a hierarchical view to browse large folder structures efficiently. Cyberduck supports Public Key authentication, Keyboard Interactive (PAM) Authentication and one-time passwords. To edit files, a seamless integration with any external editor application makes it easy to change content quickly. Cyberduck can edit any text or binary file on the server in your preferred application. Both Amazon CloudFront and Akamai content delivery networks (CDN) can be easily configured to distribute your files worldwide from edge locations. Moreover, Many OS X core system technologies such as Spotlight, Bonjour and the Keychain are supported. Disclaimer: Direct downloads for the lastest version of Cyberduck 6.2.6.26405 are provided by the official software's author, we can't guarantee safety, availability or download speed. Moreover, we don't and we won't provide any pirated/illegal versions or tools. We recommend you to avoid it as these methods can harm your device. If you like the software, buy it to support the developers. (We provide software discounts for many worldwide brands).